We offer full-service top-quality repairs for standard and commercial vehicles. 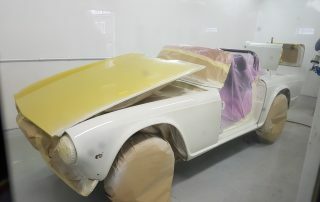 We also specialise in classic cars restoration and custom vehicles. All of our mechanics are experienced professionals who handle each and every project with the utmost professionalism. 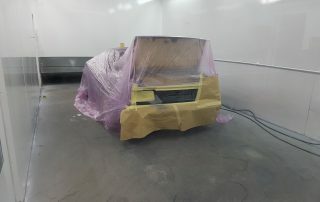 We can take pretty much anything on, from a paintless dent removal job, bumper scuffs, scrapes, panel scratched, large commercial vehicles body repairs and painting, classic car restorations, custom car projects to car accident repairs. 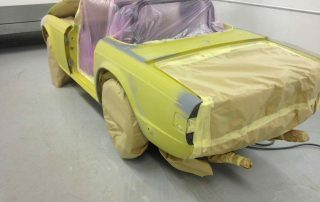 We operate in a fair size premises with a large spray booth and all the repair equipment required to meet the highest standards and customer expectations. 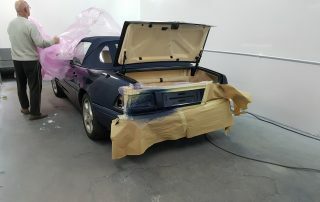 Whether you want to refresh the look of your car or cover up a nasty scratch, our experienced staff will work with you to determine the type of paint and service you need for your vehicle. We’ll inspect the car together to identify the work needed to achieve the results you want. 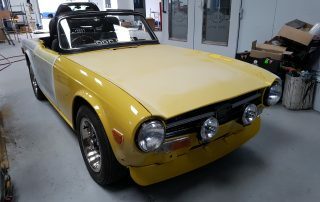 We use the highest quality materials for your vehicle to ensure our repairs will last for years to come. We are simply passionate about what we do! 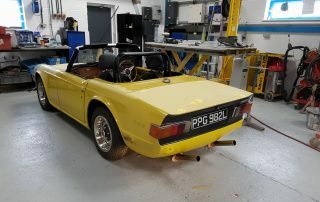 We are your brand new local garage in Fareham, our staff is experienced in standard, classic, custom and commercial vehicles body and mechanical repairs.